Imran Khan, a Pakistani politician, former cricketer and most important, the founding chairman of the Board of Governors of Shaukat Khanum Hospital has requested PTA Chairman, Dr. Ismail Shah to solve the issue the technical issue that is being faced by ‘7770’ & Shaukat Khanum’s official website. Imran Khan and his party has recently started a campaign, where they requested people from all over the country to donate Rs. 20 (+to tax) to Shaukat Khanum (7770) for poor cancer patients being treated at Shaukat Khanum Memorial Cancer Hospital and Research Centre. Hamza Ali Abbasi said that Pakistan is 4th most generous and charitable country in the world, whose generous citizens from all corners of Pakistan and around the world donated more than Rs. 65 Crores to a charitable project in just 3 hrs. Shaukat khanum have received a huge amount of donation in past years. But this technical issue with the website and the donation number is stopping charity for a better cause. 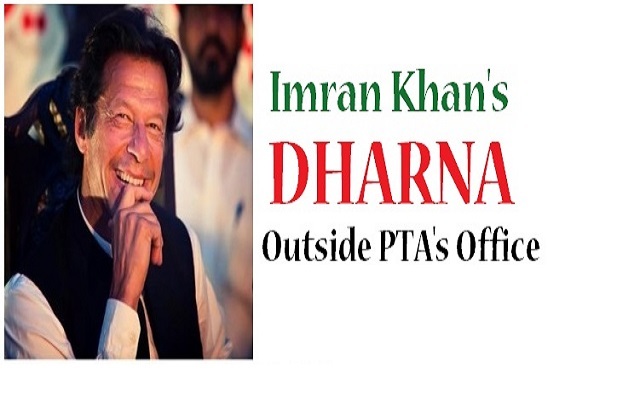 Imran also said humorously that he’ll give a ‘Dharna’ outside PTA’s office if PTA didn’t solve their issue on ARY LIVE, TELETHON.